Today has been one of those days! TEAR! I am coining it a CRAPtastic day! Let's see....walking to the bus stop I was sprayed with yucky dirty slush by a speeding car (if you didn't know, Chicago was inundated with snow yesterday and through the night). Startled I looked up and saw a bus, so I desparetly tried to hurry an catch it....but no! Waited for over 30 minutes for the next one. I can't even seem to find anything to buy online to make me happy! I think I am treating myself to a mexican feast at lunch....Mexi makes me happy! Thank you for sharing. 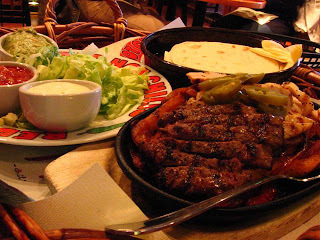 Get fast and reliable Mexican food delivery Chicago, IL with the click of a button. You pick your favorite Mexican joint and Diningin will deliver it straight to your door!